that picture is beautiful ! big bend makes me excited about learning ,about the plants, the geology of the place and how they are related. when i'm in b.b. i can't sleep . i close my eyes only to see green mountains and deep canyons.blue creek canyon from laguna meadow trail springs to mind. i also enjoy the quiet , and being able to get away the hand of man. to see no sign of( progress). What do I like about Big Bend? The Big Bend National Park is a wonderland of desert beauty that has something to offer everyone. Dubbed el despoblado, "the uninhabited land" by Spanish explorers, this area is harsh, dry, beautiful, and dangerous, but time seems to stand still in the silence of the Chisos Mountains or while floating down the Rio Grande River. 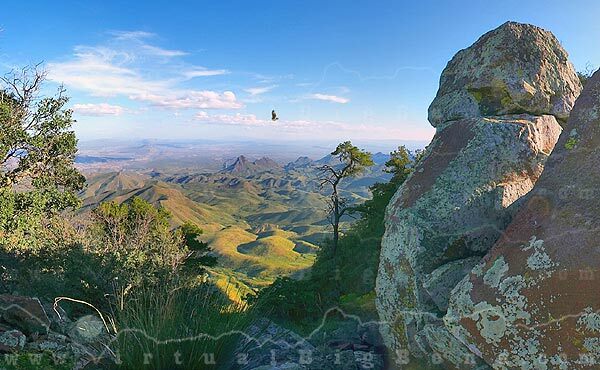 If you ever wanted to get away from it all and back to nature, Big Bend is the perfect spot. I have a very strong spiritual tie to this "desolate and worthless land"
"The Big Bend. A History of the Last Texas Frontier". Tyler, Ron C. SEE FORWARD from the Author. A&M Press. College Station. 1996. Originally published 1975 by NPS. I am always looking for the "right words" to describe the area. "Splendid Isolation", etc. According to Ron C. Tyler, El Despoblado is "the uninhabited land". I'd like to come up with my own original thought on a word or phrase that conveys what the West Texas Trans Pecos Big Bend Region means to me. For those of you unfortunate Benders that don't have the book, it is a splend read. I'm using a portion of the forward in the presentation tomorrow night. I had it already typed up in my powerpoint, so here it is. Mr. Tyler did a pretty darn good job of summing it up, don't you think? I love the question and in fact have thought of answers to it myself. In the world of today, it is so hard to be surprised or in awe of anything. That is whay I like Big Bend, in those two thoughts. I had no idea what I would find when I went five years ago and have been in awe ever since. SOMEONE! Please help this man! We ALL wanna see!!!! 3. Most importantly, the subtlety. When we were hiking through Smokey Creek and came on the water, forming small pools, we stop and sat. My friend is from Hood River Oregon, majestic waterfalls w/in miles of his house. In some ways these unexpected small amounts of water, and the verdant areas they support are even prettier, because they are so subtle. I will be there soon! More specifically, the last week of March And the trip will go into April. I love to be in the Park during this time period. 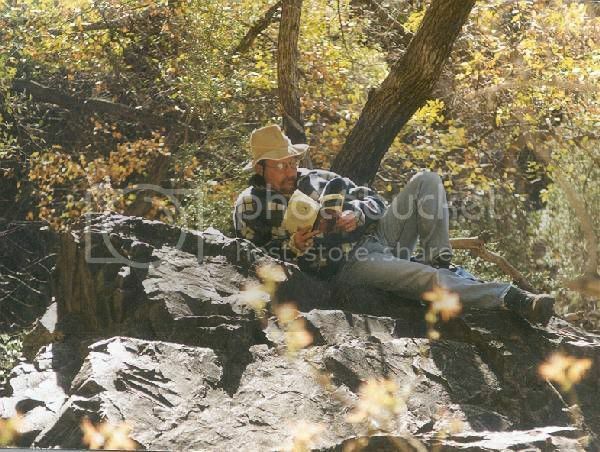 Looks very peaceful, Bill.